The super bowl is just days away. Did you know ESPN has an app on all the big streaming services that is packed full of football documentaries and exclusive content? Two new episodes of the ESPN+ exclusive "Detail from the Mind" dropped this week. In it, Peyton Manning analyzes the AFC and NFC championships. You'll be up until all hours of the night -- ESPN+ covers everything from UFC to college sports to cricket. Start getting amped up right now with a 7 day free trial of ESPN+ (free trial available here). ESPN+ can be found on Apple TV, Roku, Fire TV, PS4, XBox one, Samsung Smart TV, and on your iOS or Android mobile device. 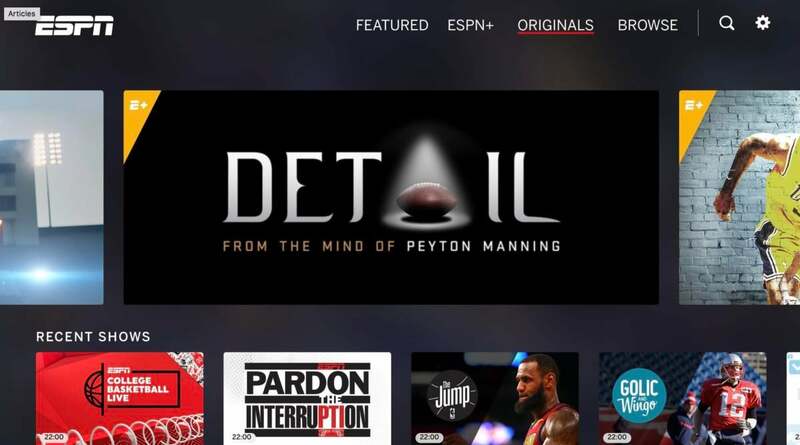 This story, "ESPN+ Free Trial: Get Amped Up For The Big Game With Exclusive Content" was originally published by TechHive.